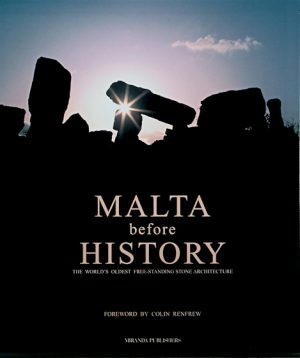 Surely it is Malta’s fascinating culture – its prehistoric temples, its environmental uniqueness – more than the more obvious Mediterranean characteristics of sun and sea, that has attracted a fair number of foreign artists to the island over the years. Prominent among these are a number of British artists like Edward Lear, Victor Pasmore and George Large. 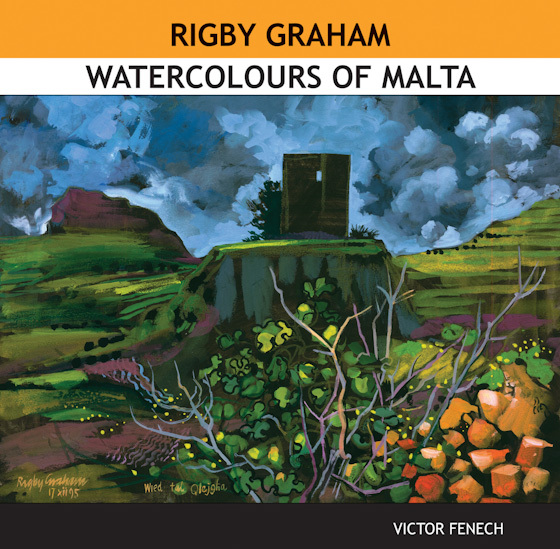 To these one must certainly add the name of Rigby Graham, a much-travelled artist from Leicester who, despite being perpetually engaged on a string of artistic and publishing projects, has still found time to pay no less than seven working visits to Malta since 1970. Graham had even spent five weeks in very inclement weather in Gozo because he wanted to give it the importance he felt it deserved. Indeed, Graham’s watercolours, painted on the spot in all kinds of weather, capture a great deal of the rugged beauty of these islands. His tendency is to shun the oft-painted and oft-photographed touristic sites, and to seek the more secluded places, to which he seems habitually drawn. The result is a series of mature compositions, often drawn from unusual angles, full of light and textures, a vivid depiction of our flora and our fast disappearing countryside. His love of nature leads to a celebration of colour, which in turn is a protest against too much encroaching development. No wonder a British art critic once likened him to ‘ a war artist recording how we’re blitzkrieging our own environment’. Victor Fenech, one of Malta’s leading poets, has been a friend of Graham for most of this time. The two met more than 30 years ago, have corresponded at length, and have collaborated on a number of projects. Often they would go out together in search of Graham’s favoured locations. This book by Fenech is the final link that binds them together. He sees it as a long overdue appreciation of Graham’s Maltese odyssey as far as watercolours are concerned (for Graham has worked extensively in other media in which the Maltese islands occasionally figure). To create the best background against which Graham’s work can be better appreciated Fenech has woven into his narrative snatches of Maltese history as well as references to localities that Graham has captured so pointedly in his art. 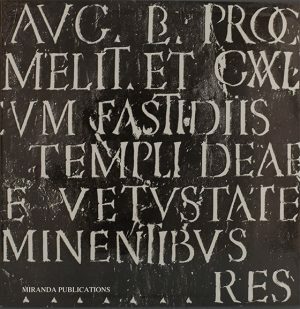 He also introduces each of his five chapters or divisions with one of his ‘Malta Poems’. complete a comprehensive picture of this many-sided artist. Miranda Publishers are proud to present this work. They hope it will be the first in a series of books about foreign artists, irrespective of nationality, who have made the Maltese islands their artistic destination and have thus helped to enhance them at the cultural level.